Spring is definitely here and, to celebrate, Beloka Water is introducing a brand-new product: 330ml bottles. Available in both still and sparkling, these super-convenient little numbers fit in all the places that bigger bottles don’t. Think tiny fridges, eskies and maybe even your pocket. We have you, our dear customers, to thank. We developed our 330ml bottles in direct response to your feedback. Even though our standard, 500ml and 750ml bottles are popular, they’re simply too large for some spots. The 330ml, however, is a different story altogether. Its compact size makes it perfect for small fridges in cafes, service stations, convenience stores and so on. What’s more, the 330ml offers a more affordable option to customers who are thirsty but not thirsty enough for 500ml. Don’t get us wrong. We love our 500ml and 750ml bottles. They’re the foundation of our business. Plus, they’re ideal for hot days, dehydrated customers and sharing. 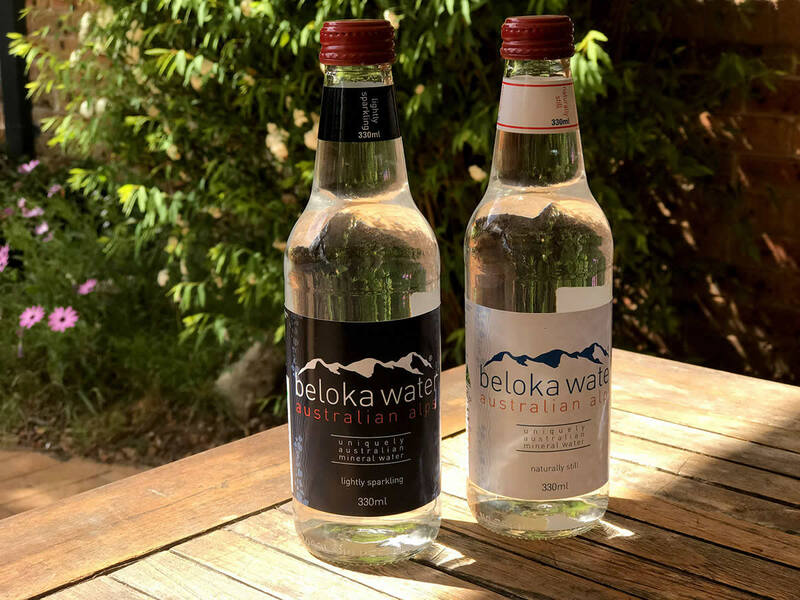 In restaurants and bars all over Australia, more and more people are sitting down together, cracking open a bottle and sharing Beloka Water – collected at the source in the Australian Alps. Beloka Water’s nutrient-rich, health-giving properties are well known across the country. However, we also love convenience. What happens if a customer isn’t thirsty enough to drink half a litre, or doesn’t have the space to carry it? What do you do, as a business owner, if you have a small fridge and nearly every shelf is already full? Enter the 330ml bottle. Ultimately, it provides choice. If you’re a cafe owner, restaurateur or service station manager, you can now provide your customers with options. Anyone looking for a small bottle is in luck. In addition, the 330ml makes your life easier. Have you been struggling to fit your stock into a little fridge or a cramped storage space? Struggle no more. Apart from the premium quality of our water, we’re also set apart by our values. Ever since founding Beloka Water, we’ve operated according to the principle of minimum harm. Our operations are ecologically sensitive and environmentally sustainable. In addition, our 330ml bottles – just like our entire range of bottles – are 100% Australian made, right down to the bottle tops. We’re proud that our business works toward boosting the local economy. Beloka Water 330ml bottles – both still and sparkling – are available in boxes of 24.